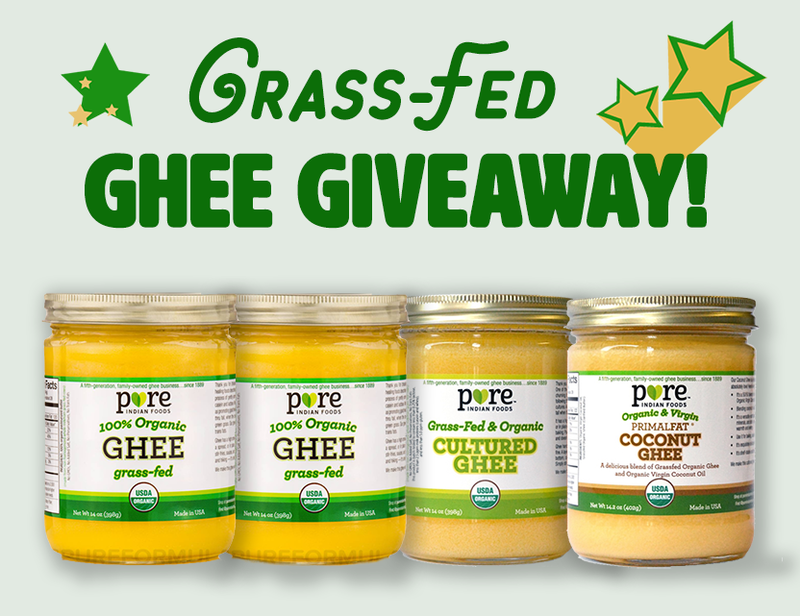 I am excited to partner with Pure Indian Foods to bring you this great grass fed ghee giveaway! 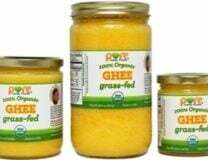 You’ve heard me talk about this particular brand of ghee in this podcast, this post about ghee, or this one comparing ghee and coconut oil. 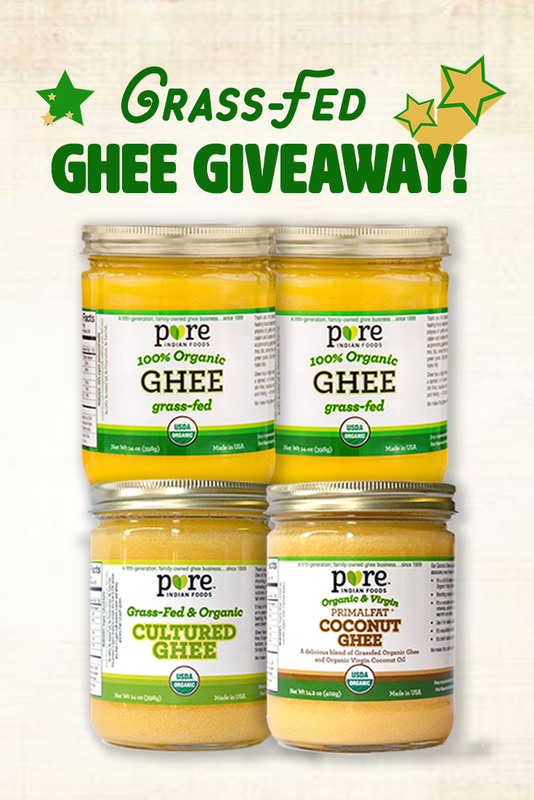 In this giveaway, one lucky winner will get 2 jars of their 100% organic grass fed ghee, one jar of their cultured ghee, and one jar of their organic and virgin blend of coconut oil and ghee called PrimalFat. 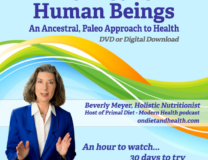 Entry is open to U.S. residents 18 or older. 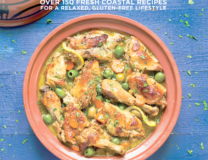 You’ll have to provide your mailing address to me over email and Pure Indian Foods will ship your prize directly. No purchase necessary and there are many ways to enter! GOOD LUCK!